Lytchett Minster Parish Church Concert Committee. 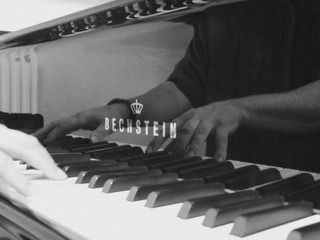 Such sensitive and inspirational playing from each musician.The pianists hands just flew over the keys! Mozart would have approved I'm sure! 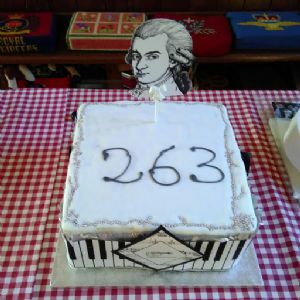 It was a lovely afternoon of beautifully played Mozart, followed by cups of tea and cake, celebrating his Birthday, which everyone enjoyed in a very relaxed atmosphere. The Dorchester Quartet were completely outstanding! I hope they come again soon! It felt an enormous privilege to have such accomplished musicians play in our church. The final concert in 2018 was given by Cantilena Voices with Clapper Chaos; a “Christmas Concert” in aid of Dorset Children’s Foundation. At the beginning of December, Alicia Mallace-Goulbourne presented “A Classic Christmas Concert” of Operatic arias and Christmas Classics. An informal charity concert of eclectic pieces, both instrumental and song was performed by individuals with a ‘passion for music’. The piano accompanist was Colin Petheram. This concert in November was in aid of Poole Society for Young Musicians. John Mills, a former pupil of Segovia, together with Dutch born virtuoso, Cobie Smit, played a concert of guitar solos and duets in aid of Bowel Cancer UK at the end of September. The opening morning concert of the Purbeck International Chamber Music Festival in late August was given by Fleur Barron (mezzo-soprano) and Marianna Shirinyan (piano) performing Schubert's Winterreise. As part of the Wessex Festival, in August, there was a performance of Wessex Peace by Tim Laycock and In Terra Pax given by the Orlando Singers. In May, Tim Rathbone (violin), Michael Arnold (french horn) and Sam Hanson (piano) performed works including Brahms Horn Trio. Singers from the Guildhall School of Music and Drama performed a reduced version in English of Mozart’s Cosi Fan Tutte in March. Before the performance members of the audience had an opportunity to meet the case and characters. Moscow to the Minster, was the title of the concert in February given by Jonathan de Garis and Stefan Djokovic who took us on a journey through Russia and rural England with songs and solo piano works. To start 2018, Dorchester Piano Quartet – Jennifer Curiel (violin), Pasha Willis (viola), Sally Flann (cello) and Peter Oakes (piano) – performed works by Schubert and Brahms. A workshop day of rehearsal for them, followed by a brief concert given in the late afternoon. An evening of popular and traditional music ranging from Vittoria’s ‘O Magnum Mysterium’ and Handel’s ‘Arrival of the Queen of Sheba’ to ‘Looney Toons’ by Carl S. Stalling and ‘An American in Paris’ by G. Gershwin with stop-offs in the worlds of film, pop and traditional music on the way. Duets by E. German, Clementi, Rachmaninov, Dvořák, Fauré and Adrian Williams comprised this thoroughly entertaining evening which showed off the piano right across its range.